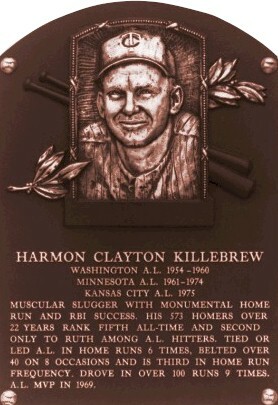 Harmon Clayton Killebrew was born on June 29, 1936 in Payette, Idaho. He is only one of 26 MLB players to be born in the state of Idaho. 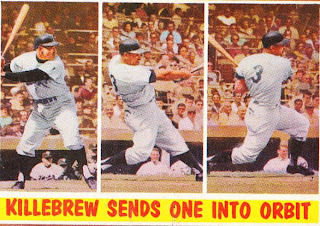 Killebrew was a 12 letter man at various sports in high school, including All American Quarterback. While attending the College of Idaho he was hitting balls a long way for tremendous averages. An Idaho Senator told Washington Senators owner Clark Griffith about him, and he was eventually signed as a bonus baby for $50,000 at the age of 17. He played briefly at the major league level for five seasons until he finally arrived for good in 1959. 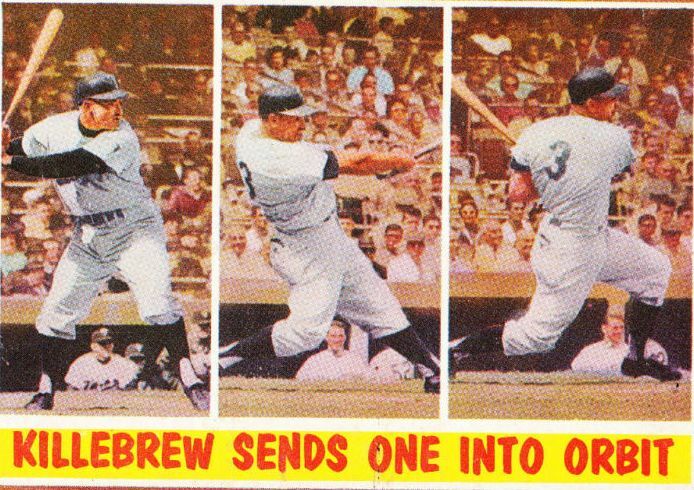 Killebrew went on to become one of the games most feared hitters. He was known for hitting massive HRs & monumental blasts. He hit over 40 HRs eight times over the next dozen years, in a time where few people were hitting anywhere near that many. He led the American League in HRs six times (including three straight years (1962-1964). He drove in over 100 runs nine times while leading the league in that category three times. 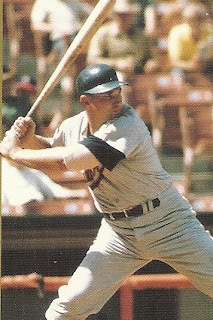 Killebrew also led the league in walks in four times, intentional walks three times, on base & slugging percentage one time each. He was named to eleven All Star teams, & in 1965 hit a game tying HR off Jim Maloney at the All Star Game held in his home ball park, Metropolitan Stadium. He would hit the longest HR ever recorded at that ballpark two years later. Today the site of Metropolitan Stadium is now the Mall of America, & a red seat located at 520 feet from the original site of home plate commemorates the blast. He also was the first player to clear the left field roof at Tiger Stadium with a HR & only one of four ever to do it. In 1966 he was part of a record setting inning where the Twins batters hit fie HRs in an inning. Killebrews blast was the fifth & final HR of the inning. He won the 1969 A.L. MVP Award setting franchise records that still stand today, in HRs (49) RBIs (140) & walks (145). 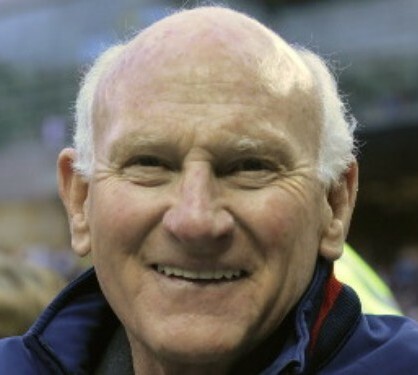 Killebrew was elected to the Baseball Hall of Fame in 1984. He was the first star player when the Senators franchise first moved to Minnesota in 1961. In 1962 he & team mate Bob Allison became the first team mates to hit grand slam HRs in the same inning. 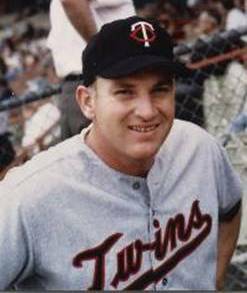 He led his Twins team to the 1965 World Series, falling short to Sandy Koufax & the Los Angeles Dodgers in the seventh game. Killebrew & team mate Zoilo Versalles, led the Twins, by each batting .286 against Dodger pitching. The Twins as a whole only batted .195 in the Series. In Game #4 at Los Angeles, Killebrew hit his only career World Series HR, coming off pitcher Don Drysdale. 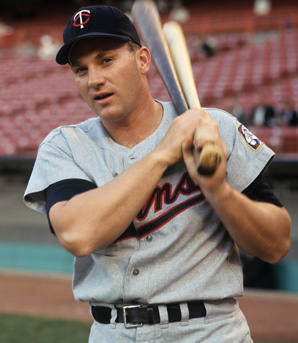 Killebrew’s Twins would finish first in the AL West the first two seasons of divisional play, (1969-1970) but were swept by the Baltimore Orioles both years in the ALCS. 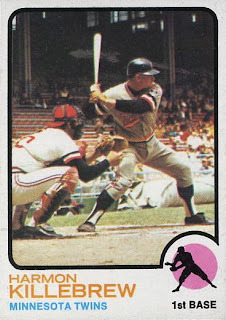 After struggling with a .125 average in the 1969 ALCS, he hit two HRs with 4 RBIs in the 1970 ALCS. He began his career as an outfielder, & actually hit seven triples in 1961. Injuries through his career would slow him down & cause him to move to the infield. He played third base & eventually moved over to first base, becoming the first A.L. player to play three different positions as an All Star. By 1973, the new designated hitter rule would give him a chance to play out his career a bit longer. At the time of his retirement he was second in the American League to only Babe Ruth in HRs, and first as a right handed batter. 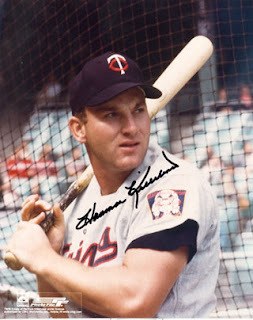 In his 22 year Hall of Fame career, Killebrew hit 573 HRs (11th All Time) drove in 1584 runs (36th all time) drew 1559 walks (15th all time) with 160 intentional walks (35th all time) hit for a .509 slugging % (82nd all time) posted a .376 on base % (207th all time) had 2086 hits (222nd all time) with 1699 strike outs (22nd all time). In 1974 his uniform number 3 was the first to be retired by the Twins. His uniform banner hung at the Metrodome & the street outside the Mall of American has been named Killebrew Drive. Gate #3 at the Twins new home Target Field has also been named in his honor. In 1977 he formed the Danny Thompson annual golf outing to raise money for cancer research. Thompson was a team mate of Killebrew, who played with leukemia until 1976 when he lost his battle at age 29. 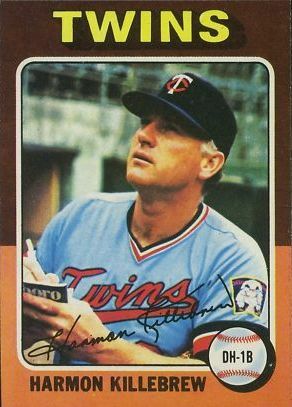 After his playing days, he was a broadcaster for the Twins (1976-1978 / 1984-1988) A’s (1979- 1982) & Angles (1983). 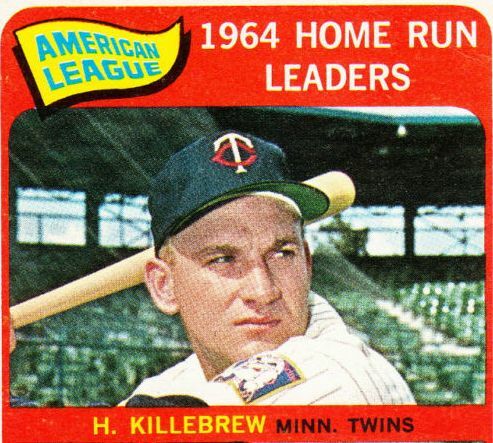 Killebrew, a converted Mormon, was married twice & has 14 children & over 25 grand children. In December of 2010 he was diagnosed with esophageal cancer & by May of 2011 it had progressed very quickly. On May 13th 2011 he announced through the Twins, that he was ceasing treatment and entering hospice care. He passed away on May 17th at the age of 74. The Twins announced that they would wear their 1961 throw back jerseys at home, in his honor the rest of the season. Twins President David Peter issued the following statement: "No individual has ever meant more to the Minnesota Twins organization and millions of fans across Twins Territory than Harmon Killebrew. Harmon will long be remembered as one of the most prolific home run hitters in the history of the game and the leader of a group of players who helped lay the foundation for the long-term success of the Twins franchise and Major League Baseball in the Upper Midwest. 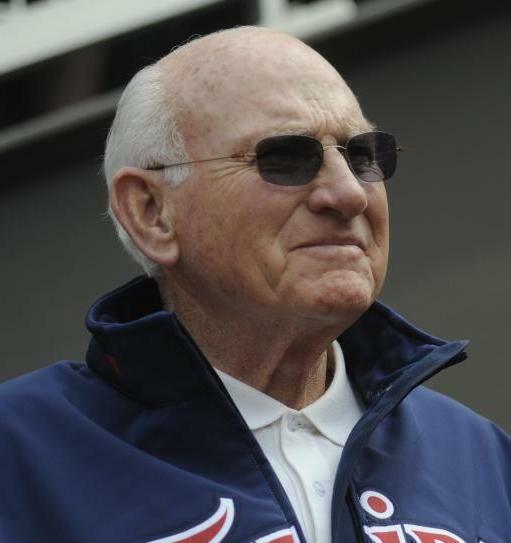 However, more importantly Harmon's legacy will be the class, dignity and humility he demonstrated each and every day as a Hall of Fame-quality husband, father, friend, teammate and man."